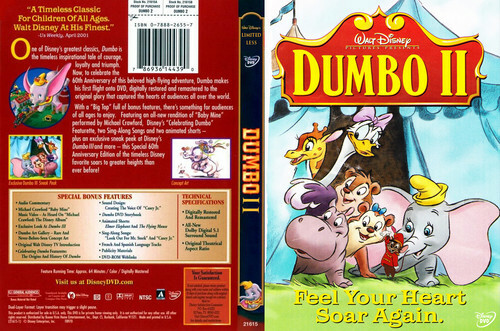 Walt 디즈니 Pictures Presents Dumbo 2 DVD. 팬팝. HD Wallpaper and background images in the 디즈니 club tagged: photo christianh. post your items to one of Walt Disney fan clubs!!!!! they will remove them very soon!